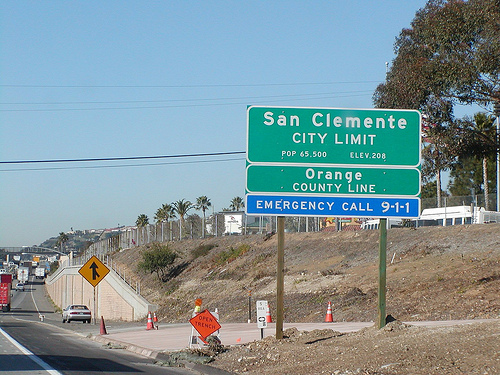 The Walton Law Firm works with clients through San Clemente and the surrounding area. Our San Clemente personal injury lawyers are located in North San Diego County and have helped injury victims from Southern Orange County who have suffered harm because of the misconduct of others. Each and every day local resident get caught up in a variety of accidents, from auto accidents, motorcycle accidents, nursing home neglect, and construction site injuries to dog bites and any other personal injury caused by the negligence of another. In many cases, those hurt in these situations did nothing wrong. Fortunately, the law provides an avenue by which those in these situations can seek redress and hold wrongdoers accountable for the consequences of their actions. Of course, the legal system is a complex system and victims need professionals trained in navigating it to ensure they receive justice. That is where we come in. Our injury attorney works with victims as they use the civil justice system to reach a satisfactory resolution. We have helped many victims in San Clemente and in nearby areas receive justice in a fair and timely fashion. Sadly in some situations, dealing with the aftermath of an accident can be just as frustrating for a victim as the accident itself. For example, dealing with insurance companies is never a fun process, and there is always a risk that one might not receive the redress deserved. After all, the insurance company is in the business of making the smallest payouts possible. That is why it is vital for all injury victims to visit an attorney. No one should try to go it alone. It is particularly important to work with a personal injury attorney in San Clemente who has experience in a wide range of cases and who devotes personal attention to each case. Most victims want only to receive fair compensation in as timely a manner as possible so they can get on with their lives. When you visit with an attorney after an accident, they can explain how there is a series of steps that can be taken to reach that goal. For one thing, it is vital to have the aid of an attorney to work directly for your interests when dealing with insurance companies and other attorneys. Our attorney, Randy Walton, works to provide that reasonable closure that clients are seeking by directly advocating on your behalf with those involved in your case. While it is often possible to reach quick resolutions, there are times when another party may not negotiate reasonably. In those cases it is necessary to have a San Clemente personal injury attorney that is experienced in taking more aggressive steps to advocate on behalf of clients. The filing of an injury lawsuit may be necessary to hold the wrongdoing accountable for their actions. Once a suit is filed, a settlement can still be reached, however there is the chance that the case will go to trial. While the legal process is longer in these situations, being prepared to take a case as far as necessary—and having an attorney experienced in doing so—is important. Our injury attorney at the Walton Law Firm is experienced in virtually all cases that may affect local residents, from minor injuries to wrongful death. We urge all local residents to remember to secure the help of a legal advocate whenever they are harmed by another. You can reach our office at any time using our online contact form or you can reach us by phone at (855) 607-1325 or (760) 571-5500. In addition, we are more than happy to come to you if you’d like to speak about your legal situation with a personal injury lawyer in San Clemente. We can visit your home, assisted living facility, or hospital.